How would you like to come to the Costa del Sol for a golfing break and play the top 5 golf courses that Spain has to offer? At Golf Breaks In Spain, we have had the pleasure in arranging golfing holidays for thousands of golfers since we were first established 20 years ago. During this time, we have listened to your requests and taken onboard exactly the kinds of things you are looking for when visiting the Costa del Sol for your golf holiday. 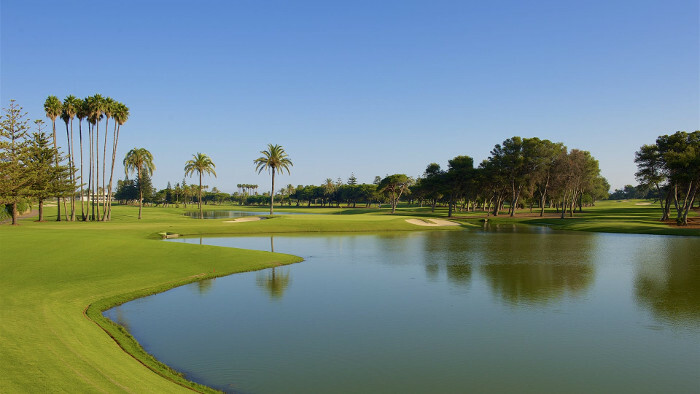 It’s no secret that Spain is home to some of the world’s finest golf courses many of which have played host to a number of prestigious golf tournaments including the Ryder Cup, the Volvo World Matchplay and the Volvo Masters to name a just a few. Book your golf holiday with us here at Golf Breaks in Spain and you too could be walking the same fairways as golfing legends such as Severiano Ballesteros and Colin Montgomerie. Our latest offer has not only become a major hit with our European golfers, but also with those from farther afield including the U.S.A, Australia, New Zealand, South Africa and Canada. If you are travelling so far to play a round of golf, you may as well play some of the world’s best golf courses! Take a look at the list of top class courses you could be playing. 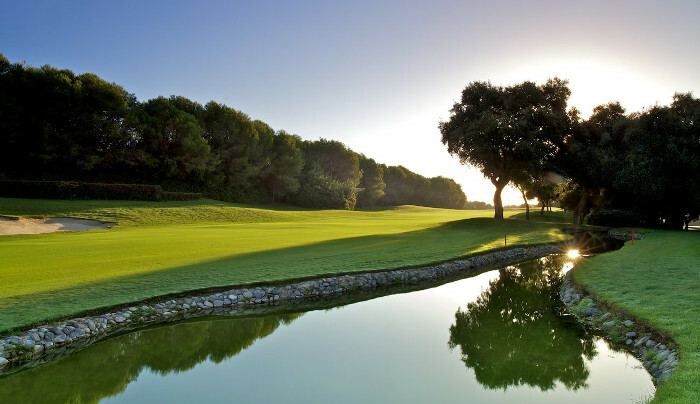 Considered by many to be the finest golf course in Spain, if not Europe, Valderrama was first constructed in 1974 and since then has hosted a number of major tournaments including the thrilling Ryder Cup of 1997, which saw Europe retain the trophy. As you would expect, this course is always in magnificent condition and features lush green fairways and an abundance of cork trees. If you’re feeling brave, you could attempt to take on the water hazard at the famous par 5 17th hole and hit the green in two. If you succeed, you will have bragging rights with your fellow golfers for years to come! Go on, give it a go! You may only play the course once after all! Finca Cortesin has had the pleasure of hosting the Volvo World Matchplay tournament in 2009, 2011 and 2012 and was recently voted as one of Spain’s best golf courses by Golf Digest Magazine. The Finca Cortesin course is absolutely stunning, but don’t just take our word for it! Golfing legend Sergio Garcia has previously stated that the greens at Finca Cortesin are of the same standard as those at the Augusta National, home to the famous U.S Masters! In total, the course measures a little over 6,800 metres in length and is definitely one you will want to play when visiting Spain for your golf holiday. Another must-play golf course here on the Costa del Sol is the Cabell B Robinson designed course, La Reserva. A part of the La Reserva Country Club, the course is located in a privileged and elevated position, offering stunning views to the Mediterranean sea, mountains and the beautiful surrounding countryside. La Reserva was first opened in 2003 and is magnificent. The course measures a total of 7,400 yards and features large open fairways and big greens, but don’t be fooled, it’s still a tough proposition even for low handicap players. 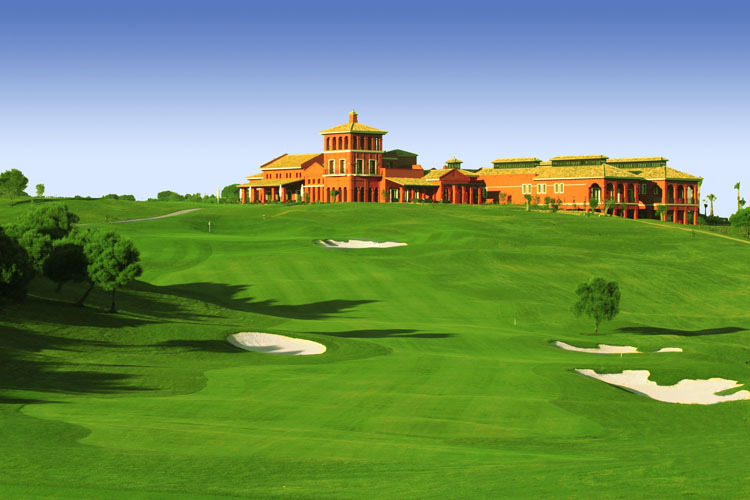 Opened in 2005, the San Roque Old course is a stunning golf course and is considered to be one of the best in Europe. Designed by course architect Dave Thomas in 1990 and with bunkers re-designed by the late great Severiano Ballesteros, this par 72 course will really put all of your golfing skills to the test. The San Roque greens are very fast and if you want to hit a low score around this course you will most definitely need to drive straight and accurate and avoid a number of water hazards along the way. 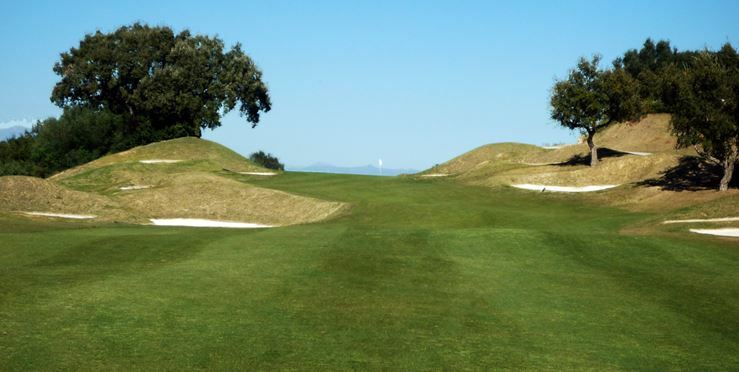 After you have played the Valderrama course, why not pop along and play another 18 holes at the neighbouring Sotogrande course, which is just a stone’s throw away? How good is it? Well, for starters it was designed by world famous course designer, Robert Trent Jones and was the first course in Europe designed by Jones. Then we have the fact that the course has won many accolades including being voted in the top 100 golf courses in the world and in the top 5 in Europe by GolfWeb.com’s editorial staff. Want to play a couple of the best holes in world golf? Then check out the 7th and the 12th at Sotogrande, which were voted by Golf Magazine as two of the world’s best golf holes! So how much would you pay to play five of the best golf courses in the world? Our current offer is exceptional value and provides you with either a four or five course pass to play the courses above and also includes buggies for each round. Contact us today in order to book this package or if you have any specific requirements. We are happy to help!